My obsession with stone jewelry (as evidenced here and here) is going strong! I'm not entirely sure where it all started, but now that I think back, my favorite companies like Stella & Dot, Sonya Renee, and Oia Jules are known for their beautiful creations using colorful gems. 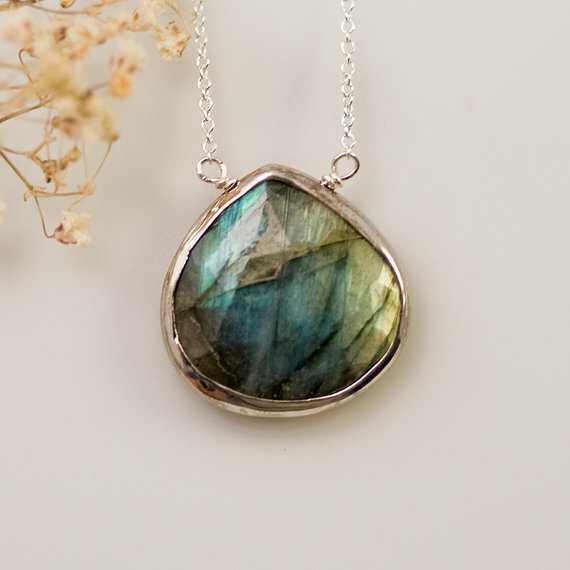 The natural, earthy beauty of a stone necklace has quite an impact around the neck. 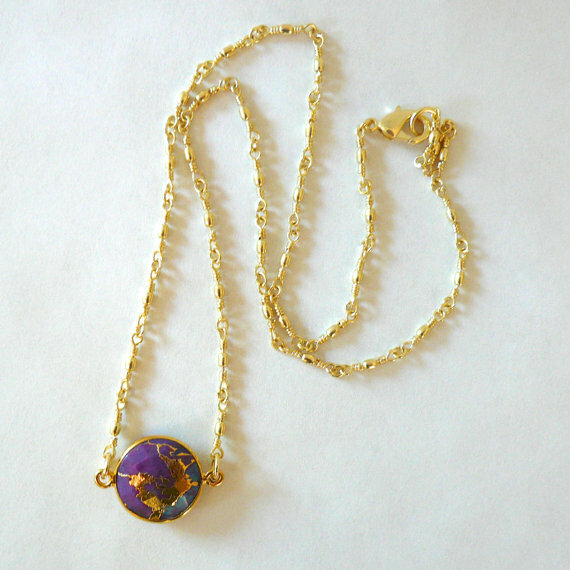 This was the necklace I wore in my last post. Love it. Etsy has a ton of stone pendants, so I would encourage you to look there! But whatever you choose, you can't go wrong. There is nothing as beautiful as nature's own jewelry. 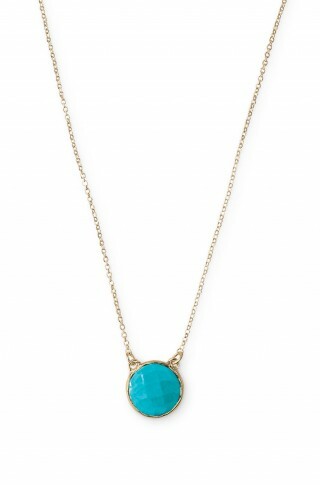 The Stella & Dot necklace is GORGEOUS!! 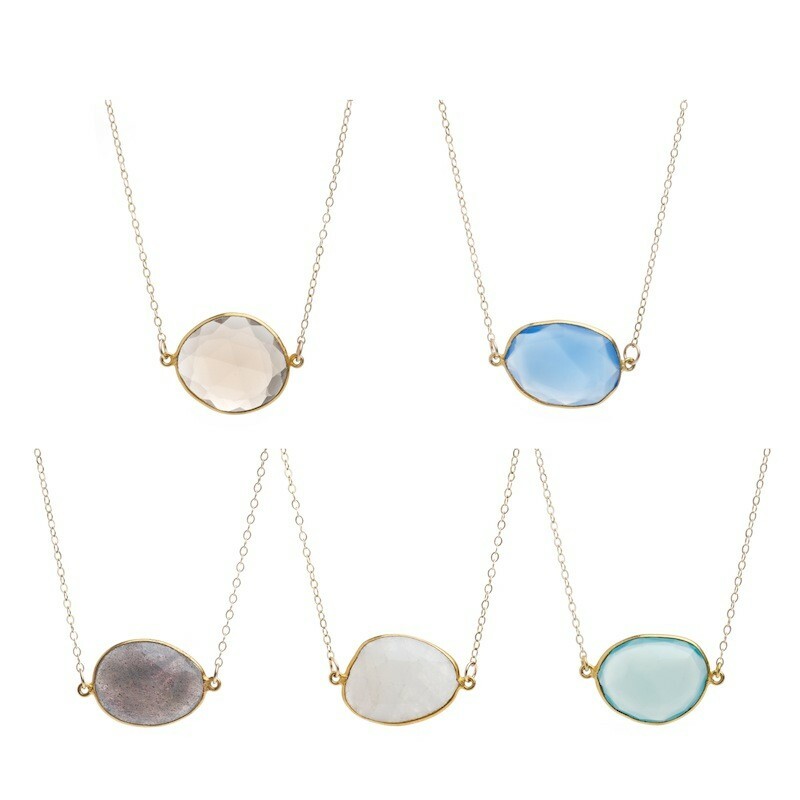 Loving those Sonya Reese necklaces...so pretty!! I love the Stella & Dot one -- delicate but adds just a punch of color. So pretty and dainty! I'm oogling your hair... looks so gorgeous AND healthy! I wish sky! My hair is a pain! But thank you :) I want it to grow but it's taking some time because I have a trimming compulsion lol. really like this turquoise touch!! I highly recommend her jewels! Elizabeth, the owner and creator, is also such a sweetheart. I'm loving these necklaces you posted - I was thinking about you the other day because I saw a necklace like yours in Stylewatch - and I was thinking - Noelle is so ahead of the trend - she already HAS the items they're writing about LOL! You are so sweet Ella! Thank you :) I just wear what I like lol. It's a bonus to see it in a magazine though!